These last couple of months have been busy ones… selling my company, donating my astrology library, moving all the thousands of tapes of dharma teachings elsewhere, and clearing out basements and rooms from twenty years of accumulation. Then there is the retrofitting, first completely reworking the audio studio, and then upgrading the video studio. Anyway, I am pretty much done with all of that, so now what? I am asking myself the same question, about every day. With all of this activity, why do I still feel like someone turned off the engine? I guess that's just how many of us feel when we stop going to work after forty years or so on the job. In fact I am busier than ever physically and for that matter also creatively and mentally. So why do I still feel like the shadowy Hall Monster (if any of you can remember the early Atari video games) is still hanging around… in the corner of my eye, just out of sight? As a meditator who is used to an object of meditation, I can see that my company (Matrix Software) was a real focus for some forty years, and suddenly I am faced with formless meditation, no direct object. Wow! What a change. It is not a bad change, but it is very different from what I am used to. It is freeing, but freeing to do what? And it may just be me, but these have been unusually challenging times for me, as opposed to just clear sailing. Don't forget that I am an astrologer and not above doing my own astrology. I can always fall into looking at the current sky writing when things get tough, explaining to myself (for example) that this very exact T-Square aspect-pattern happening now between Jupiter (career), Uranus (change), and Pluto (vulnerability) says it all. And Uranus is the focus of the T-Square. All of this is in the heliocentric (solar system), which in my opinion is the one that really counts. And I am not the only one experiencing this; so are all of you. This is an aspect this is not personal, but yet taken very personally by everyone. And it is not even over yet. And I can see that as Venus conjuncts Neptune (in the next days) that some sort of appreciation of our spiritual inner life is due. I look forward to that if it works out well. Remember that astrology is nothing more than cultural astronomy, giving interpretations (adding meaning) to what are scientific facts, like the fact that Venus will Conjunct Neptune soon. That's a fact. What does it mean or portend? Astrologers can attempt to suggest interpretations, which is what I am doing here. That is about all the predication astrology is capable of, at least in my experience, interpreting the astronomical facts culturally. The rest is psychic intuition or whatever, and I am no psychic. That aside, I find this particular stream of time we are wading through just now somewhat challenging, and what could be more challenging than change? And change is what I have been having lately, avalanches of it. It burns off the dross of decades, exposing vulnerabilities I had forgotten about. Yet I am committed to the process of change, not that I have any choice whatsoever in the matter. When what starts out as a segue goes circular, I am in a loop, spinning round and around until time lets me go on. So what am I telling myself? I am saying to me to just put one foot in front of the other and move (however slowly) forward. And I also tell myself that this is purification and that all purification is incendiary to some degree. I also trust that, phoenix-like, I will arise from the ashes, and that when the smoke clears, I will appear through the haze and still be walking forward. There will be less of me, but what remains will have been reduced to a purer essence. Sounds extreme? It is and it isn't, at the same time. After all we each wake up in our own dream. As for what I have been actually doing? I have begun to make videos on various topics, much like I blog here. It is ridiculous to see myself on camera, old and still crazy after all these years. But we all do what we can. My interest is and always has been in esoteric experience, in particular initiation and empowerment. And though I don't know much, I am driven to share what little I do know with those who might find it useful. I know that when I came up I felt singularly alone until I found those who were kindred souls, many of whom helped to show me the way. My wish is that I can be of benefit to others, and not a problem. So that's my story, and I'm sticking to it. 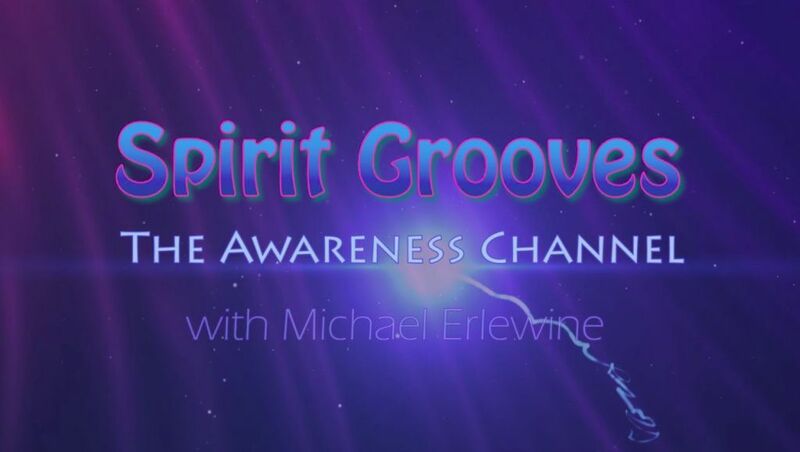 Here are three videos, a short 30-second ad for my cable channel Spirit Grooves, and then two long segments on the "Four Thoughts That Turn the Mind" that I just blogged on here.